The armboard shown above on the left is the old type made from aluminium sheet, the one on the right is the new, much improved type prior to drilling the hole for the tonearm. These attractive, lightweight armboards are a specially constructed sandwich made from carbon fibre sheet and balsa wood. The carbon fibre sheet gives it its rigidity and modern looks, while the balsa wood helps abate transient resonance. The armboard is pre drilled to fit straight onto your Pink Triangle turntable. All that is required is the hole/s for the tonearm which we can put in for you. 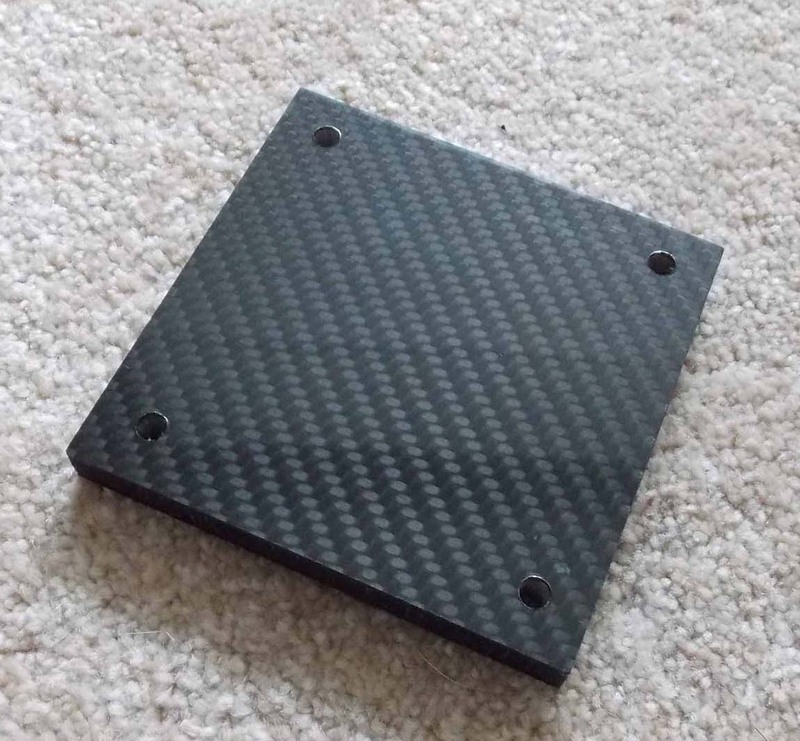 We have just introduced a new lightweight Carbon Fibre composite armboard that consists of a carbon fibre/foam sandwich, which gives a superior performance. 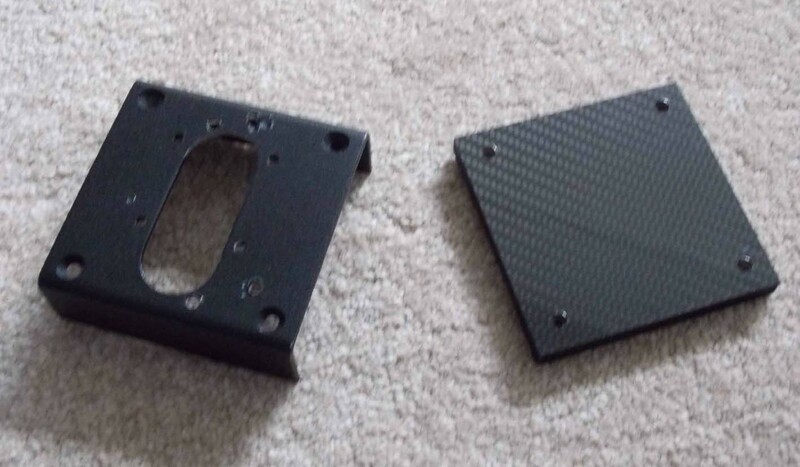 This material is super rigid and lightweight, it is the same material as used in the construction of F1 racing cars. 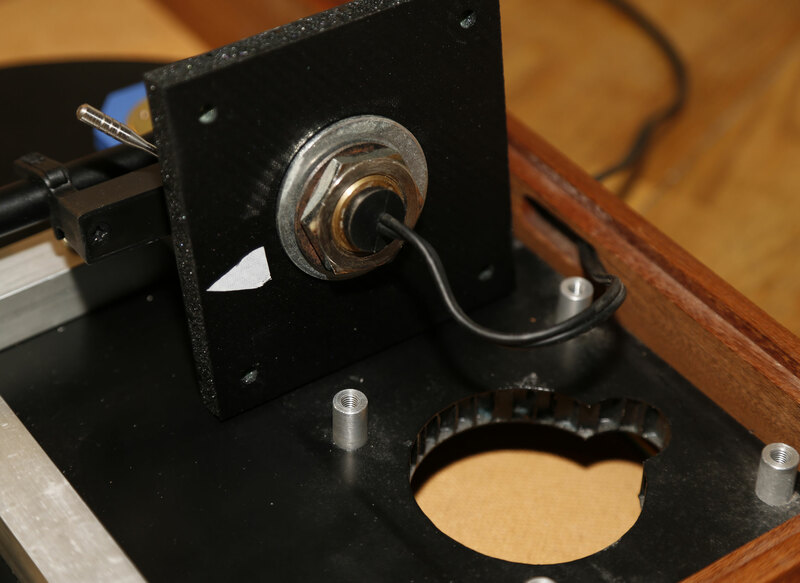 Ensure the electrical supply to the turntable is switched off and the mains plug plug removed from the electrical socket. Carefully remove the tonearm and original armboard. Place the plastic spacers over the aluminium stand-off posts fitted on the sub-chassis as shown in the photos. The spacers supplied have been made to set the top surface of the armboard to the same height as the original armboard. If you have any special modifications needed concerning the base height of your tonearm, please discuss this with us when enquiring. 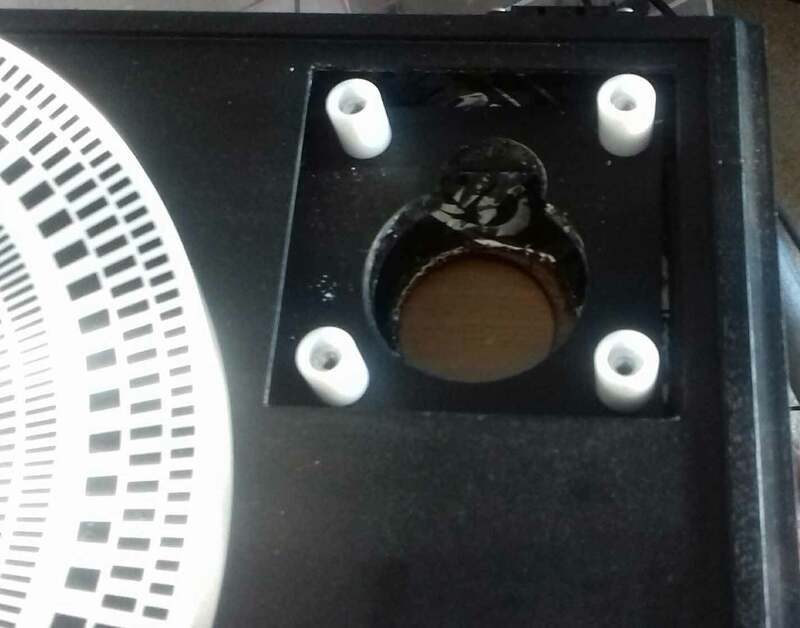 We have marked the underside of the armboard with sticky tape to show which side faces to the front of the turntable. Assuming the armboard is drilled to take your type of tonearm and the plastic spacers are in place, carefully fit the tonearm to armboard. 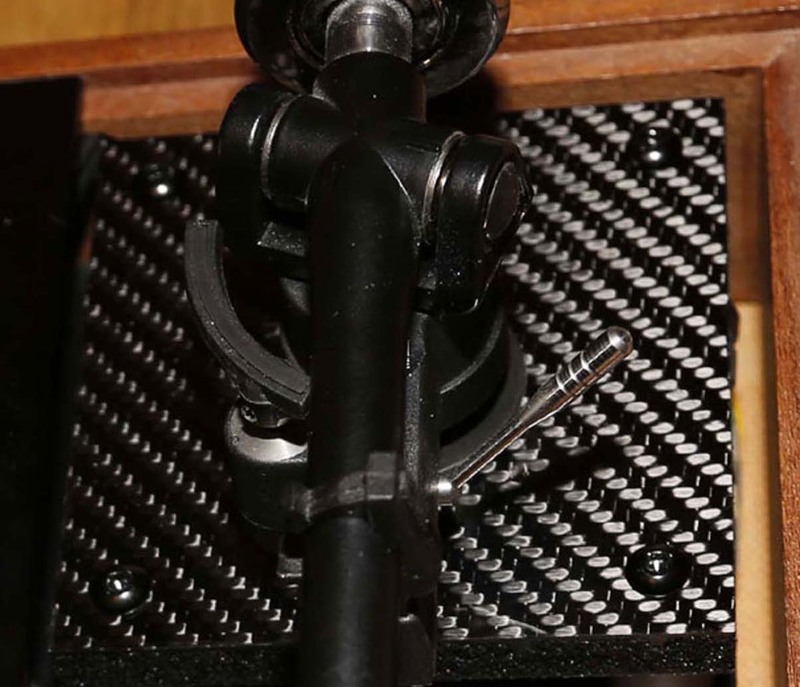 If the armboard is not drilled, care must be taken when drilling the hole\s to ensure the correct spindle distance to the centre of the tonearm, and the hole\s size are as per tonearm manufacturers recommendations. 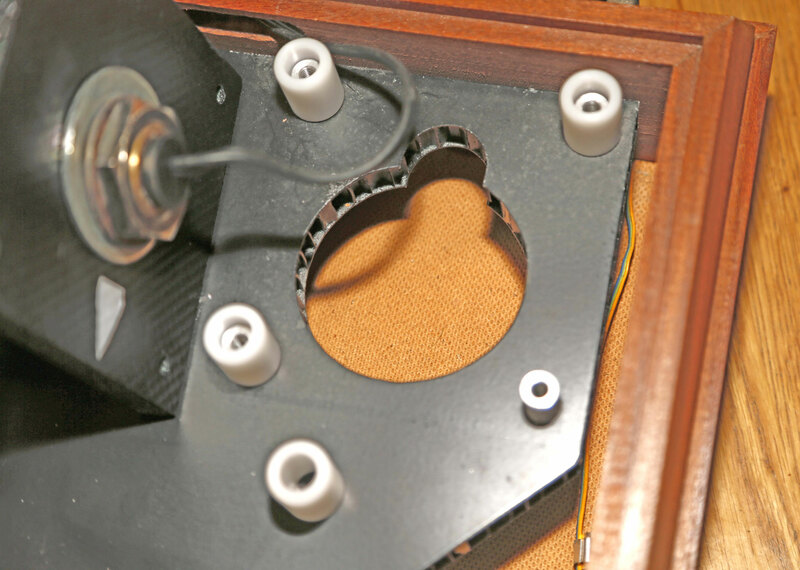 Using the black anodised aluminium screws, fix the armboard onto the spacers as shown in the photo. It is only necessary to 'nip' the screws up, do not over tighten them. An Allen key is supplied for your convenience. 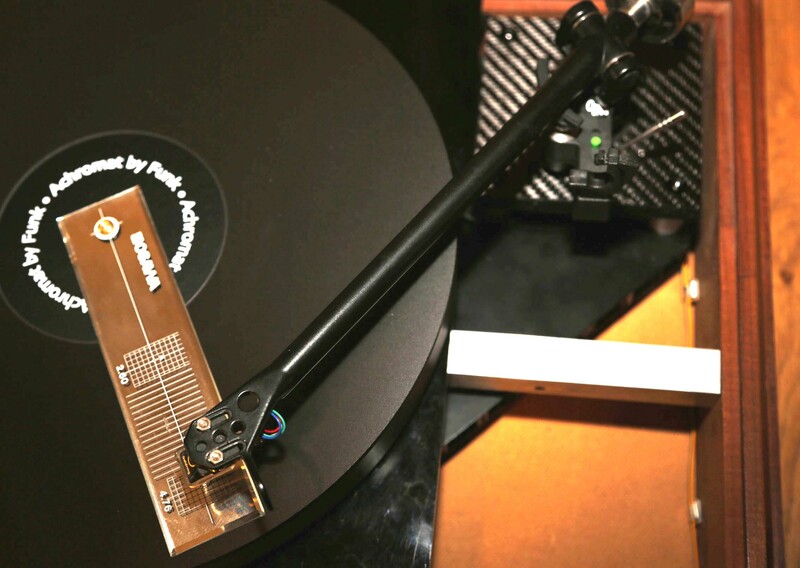 All done, now connect your tonearm cable and check the VTA and cartridge alignment is correct. If it is not, then adjust them as per the tonearm manufacturers instructions.